Tommy Oliver. The original Green Ranger, White Ranger, Red Zeo Ranger, Red Turbo Ranger and Black Dino Thunder Ranger. When you think of Power Rangers you think of Tommy Oliver. 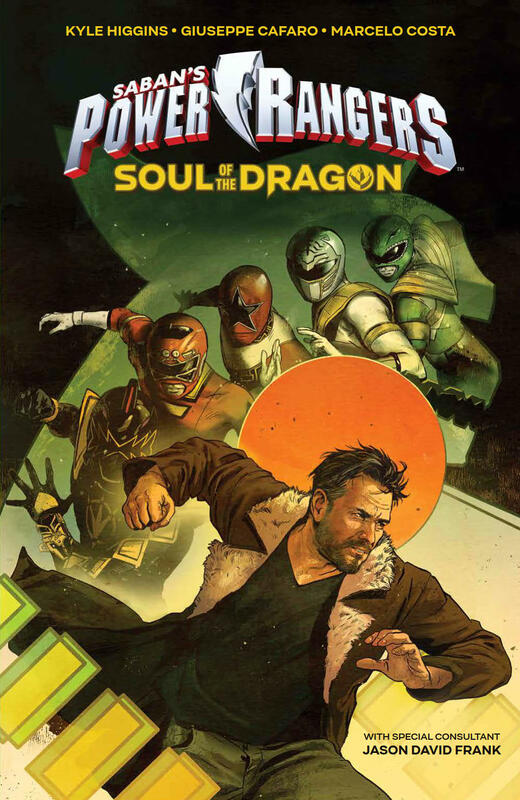 And now, hot on the heels of his truly career defining work on Power Rangers: Shattered Grid, Kyle Higgins is here to craft the final story of the most iconic Power Ranger. It has been over 20 years since Tommy Oliver last morphed. Space Patrol Delta has taken over defending the Earth and Tommy and finally stepped into retirement. However, when his son JJ goes missing, Tommy is forced into one last adventure to find his son. But with a body that’s starting to fail after all the damage he has taken over the years and a broken Morpher with only 5 morphs left in it, can Tommy pull it off one more time or is this the end for the first 6th Ranger? Soul of the Dragon is a book I’ve been waiting to talk about. 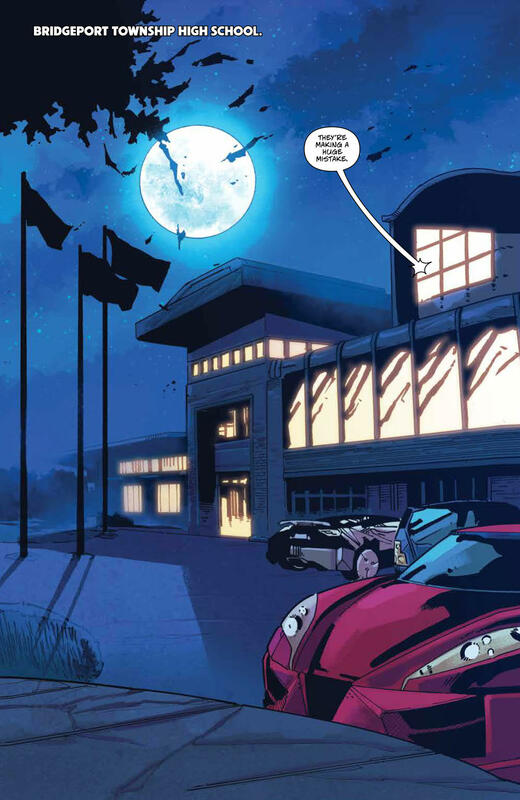 After the massive world-shaking events of Shattered Grid, it makes sense that Kyle Higgins would want to do a much smaller and more character-focused story. This is the Power Rangers equivalent to Old Man Logan; the world has moved on from Tommy’s golden days and this book focuses on his legacy. After spending most of his life in a war against evil, what has Tommy actually accomplished? The world still faces dangers and threats. This book is Tommy having to come to terms with the fact that he’s done all he can, and that his legacy doesn’t end here. 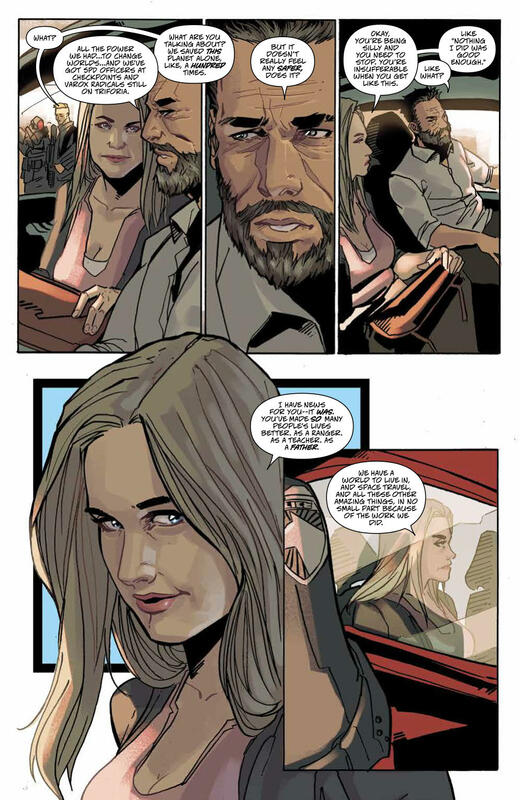 Kyle Higgins has written a story that focuses on the man behind the powers, and it’s truly wonderful. Joining Kyle Higgins for this final tale is Giuseppe Cafaro and Marcelo Costa, and it’s great to have them both here. 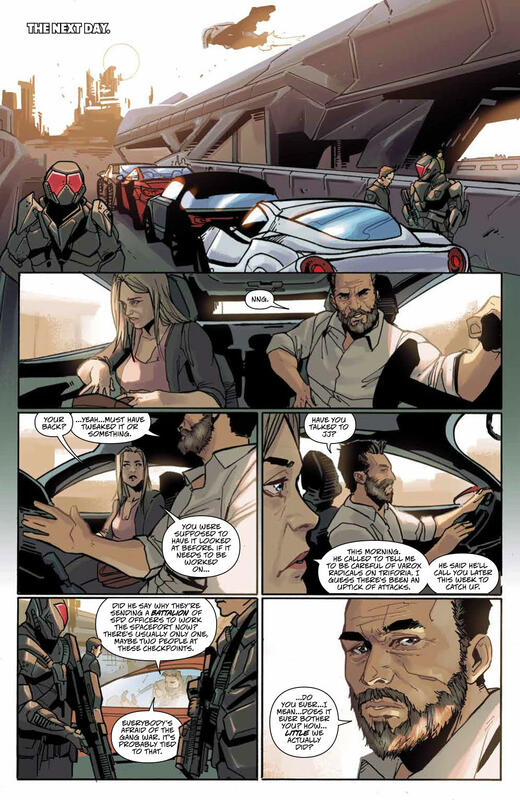 Cafaro brings a suitably grand nature to Tommy’s final battle while adding in a more brutal nature to reflect this more dangerous and violent underworld that he finds himself battling through. 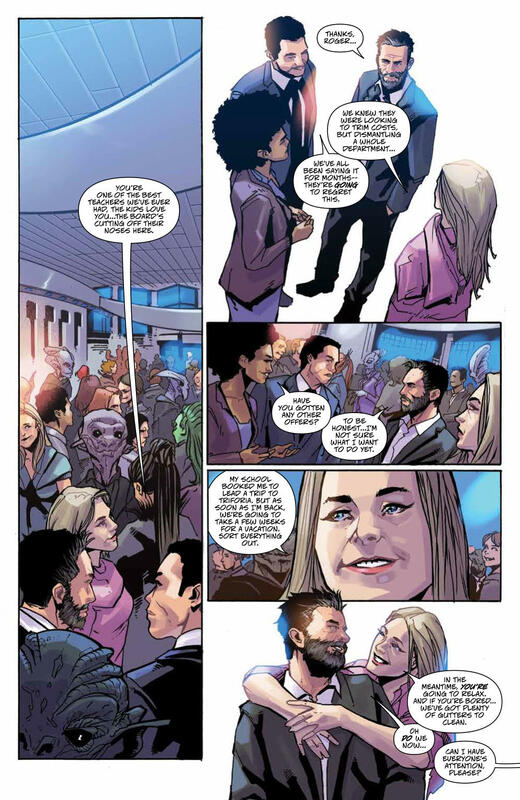 Tommy looks a lot older here which helps to sell things and while Cafaro does well with the facial expressions, what he truly excels at is the scenes where Tommy gets to morph again and that’s when this book goes from a 10 to an 11. Completing the process is Marcelo Costa who shows a great use of muted colours which contrast well with the bright Ranger suits Tommy uses through the story and the brightly coloured explosions (this is Power Rangers after all). If you’re a long-term Power Rangers fan like I am then you really should be picking thing this one up. 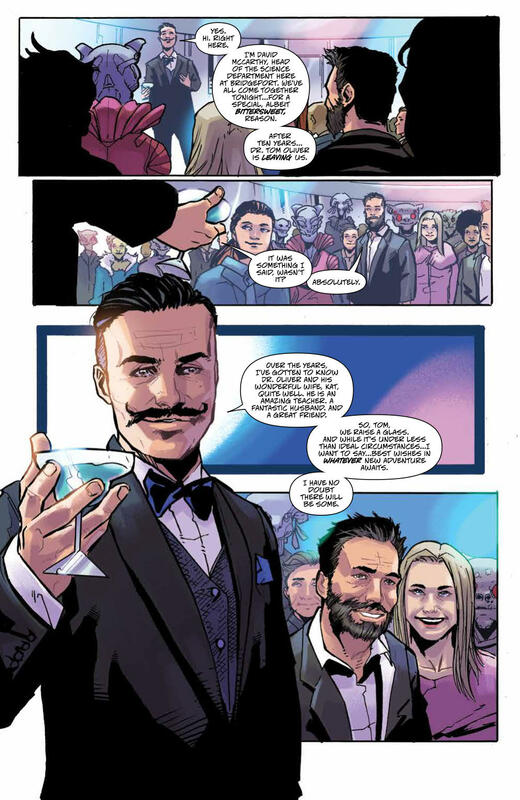 This is a great final piece of Tommy’s story and a fitting ending to a character who has become the Stan Lee of Power Rangers. Read this and see how the story of The Legendary Ranger comes to an end.